I imagine this floral motif as the window that looks out onto a rose garden, which would be a perfect place to sit and knit in the shades of the trellises, surrounded by the lovely scents of nature. This design features both double and single knit, making it a wonderful introduction to the Rotating Double Knit Loom by Authentic Knitting Board…Enjoy! No Twist Drop Stitch Scarf! This one is one of my favorites to wear every fall since its creation! It whips up super fast on the Zippy Looms! Just click the link above to see all the information about the project, as well as the complete, step-by-step tutorial video. 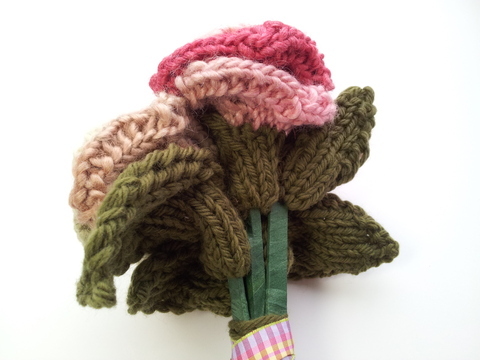 Alternate Version of the Felted Roses Greenery! Tutorial: Choices in Cast Ons & Bind Offs: detailed comparisons of popular loom knitting cast ons and bind offs available today! 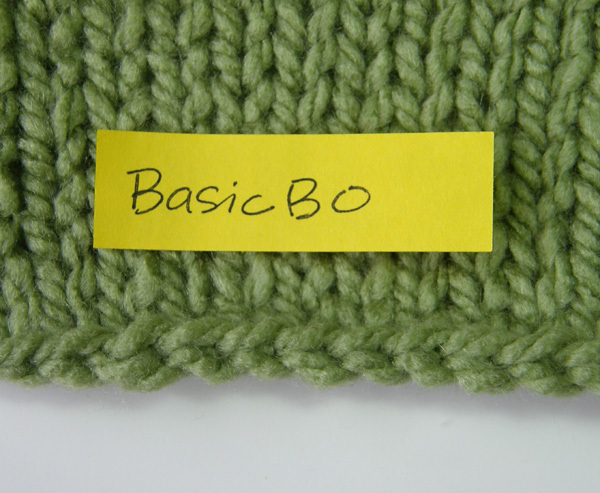 Click here to view a Loom Knitting Bind Off Comparison Video! The Scoop on Seaming: detailed comparisons of popular seaming techniques available today! 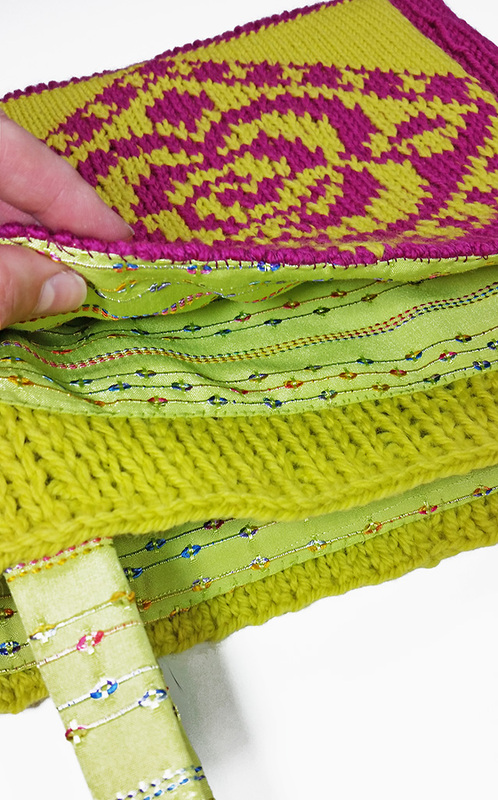 This double knit project will having you splashing color around your home in no time! 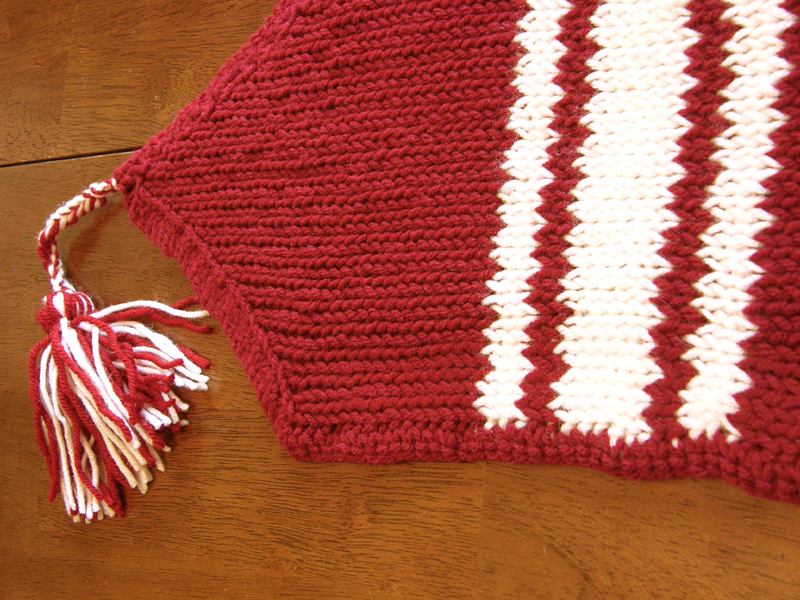 Create this project in any color you desire, add a whimsical touch of applique or embroidery to match the seasons… even make it in your favorite school colors to show your team spirit! Learn special techniques to increase and decrease while double knitting on your long looms! For more information, the original introductory post is listed here. *note: a new version of the pattern has replaced the previous version on 10/19/2011. You can find a post detailing the changes with helpful information about this project including a tutorial video here. 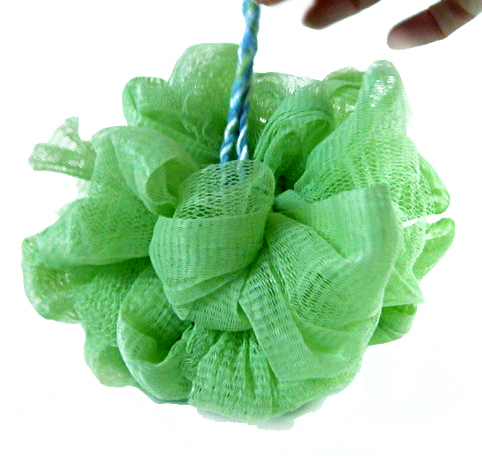 Join us in learning how to create or re-furbish those netted bath scrubbies! 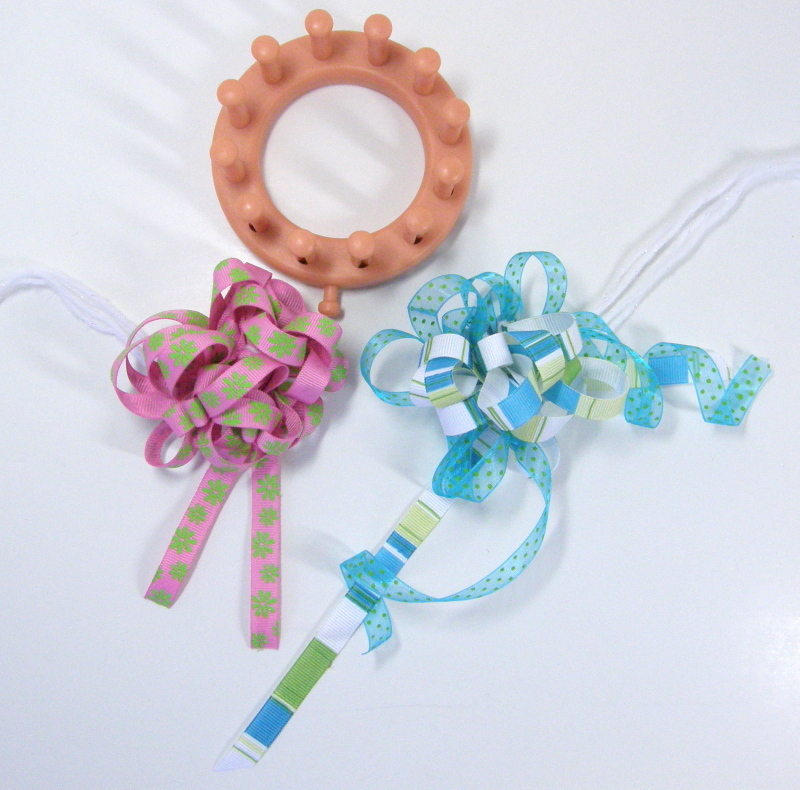 ….or use the same process to create adorable ribbon package toppers! 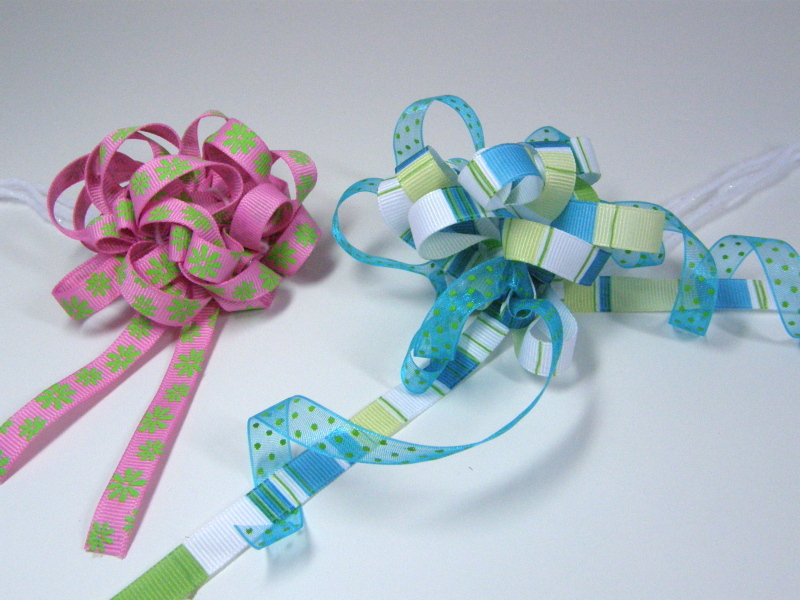 Learn to make a Party Bow! This is just the perfect little parcel, specifically made to stash those tiny things that we like to carry around with us… whether it is our cash stash, our mp3 players, a favorite lip gloss…you name it! 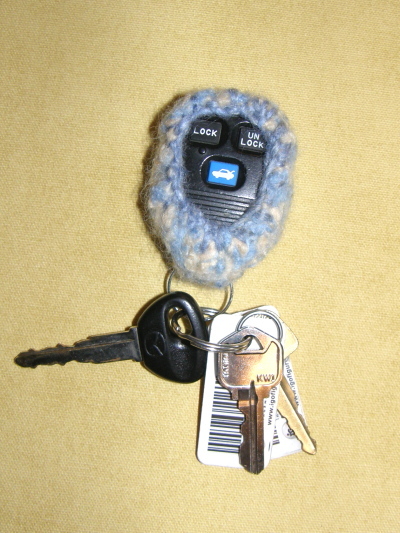 It’s so easy to whip one of these little guys up on your EvenKnit Sock Loom or other fine gauge loom of your choice. This is just the accessory any friend of the kitchen needs! 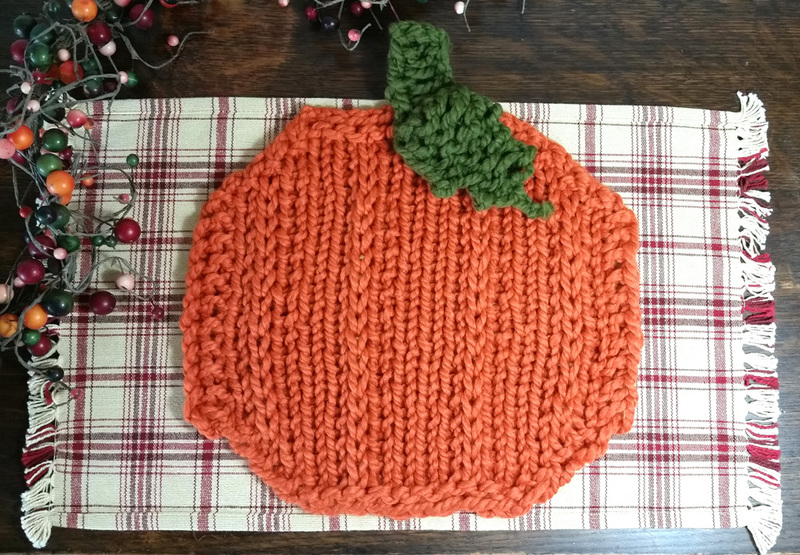 Worked in thick textured Moss Stitch with 100% Cotton, this provides the perfect insulation against hot pots and cookie pans! This would actually be a wonderful way to create your felted slippers from the start…they provide a more finished look and give much more durability and extra comfort for those tired tootsies. These little sweeties were designed some time ago, but I have since updated the project to be worked on the new EFG Sock Loom by Authentic Knitting board. 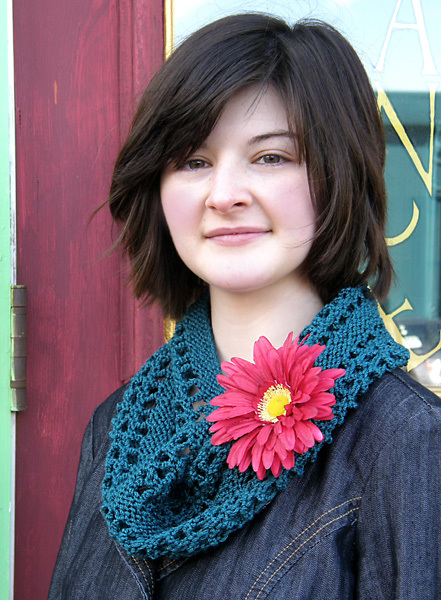 Pop on over to check out the newly released version of the pattern! Join us in creating this innovative, yet easy to make interchangeable project! 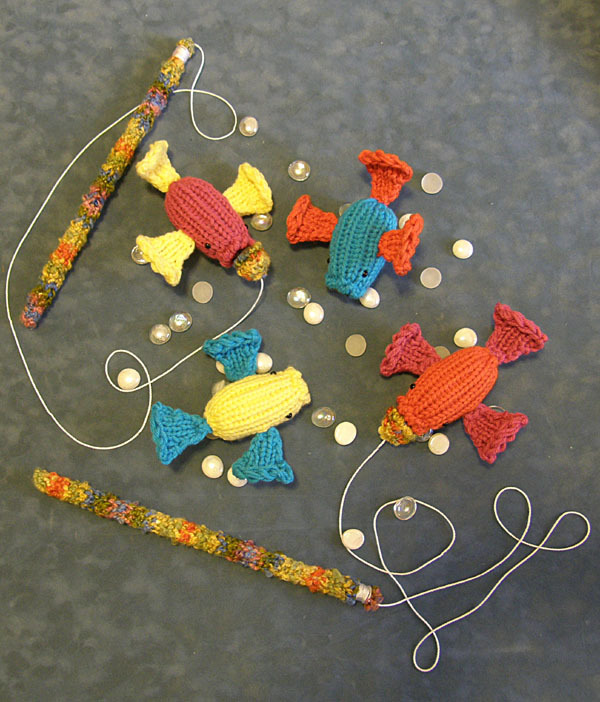 See how to create a classic children’s game with just some yarn, magnets, and dowels! Project can be done in under a half hour! Complete 3 Session Video Tutorial Available Here! An additional post on how to make Pinwheel Scrubby-O’s here! Read more about it in this introductory post. *Also, if you’d like a not-so-pockety size for easier reading, click here to download in a half page size format. Enjoy! **Pop on over to the Twisted Stitches page for a 3 part video tutorial on another way of creating cables on the looms, as well as a brand new finished project using this pattern! 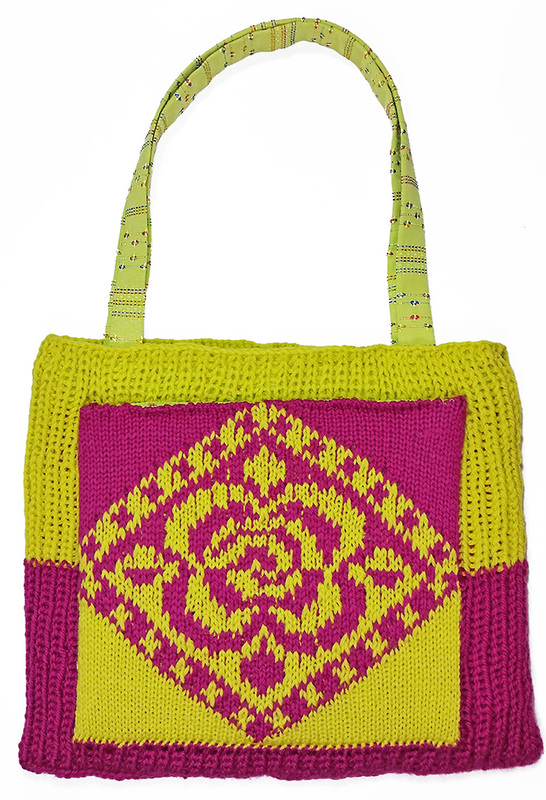 This sweet little bag is such a snap to knit up on your regular to large gauge looms, that you’ll be sporting a new bag in no time! (Sample used yellow & blue round KK looms, but any loom of similiar gauge and peg # can be substituted. ) 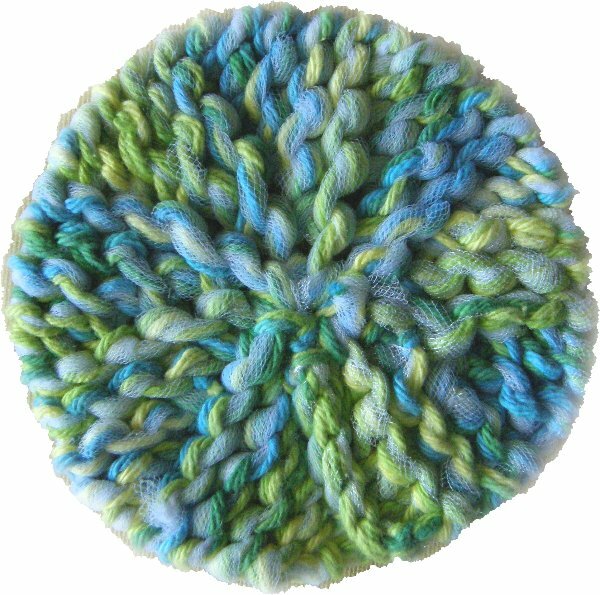 There is also a series of Video Tutorials based on the Decrease Bind Off here, that will make creating the rosette a snap! Just click above to download in PDF. How to make a Magnet Chart Marker! 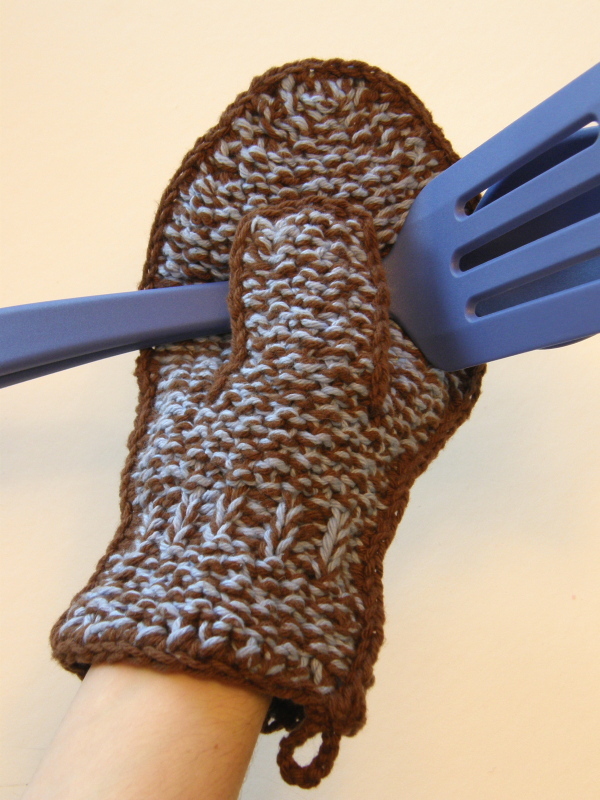 These Mittens are so cozy & comfy!…and so easy, too…all in one piece! No need for a separate thumb insert. Here’s a post with a 4 series video tutorial by Christina Fasoula going through this very pattern step-by-step! Sweet little Candy Cane Covers, created on a 6 peg loom! Has Spencer “dropped in” at your house yet?? He’s the new addition to the Freebies page! 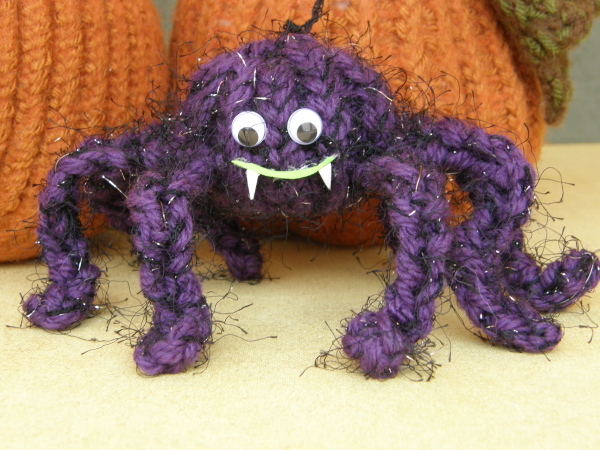 Just click to begin crafting a creepy eight legged pal! Felted Bottle Hug…this is perfect for those hot summer days…keeps your water cool & refreshing! Also, try out a new flat bottom weaving technique. Let me know what you think! Ps: Check out an alternate pattern idea on the blog page here! Download using the link above. It was created for the Knifty Knitter Loom Set and uses a pre-made purse form, and Raffia Ribbon, that can be purchased at your local craft store. Enjoy this cool, summery look! Hi Bethany 🙂 You have some really nice patterns here. I’m going to have to try the mittens. My eight year old boy hates gloves with fingers. He has some really nice insulated ones that he refuses to wear. Thanks for sharing! Have a great day! Love your free patterns! Keep up the great work. I’m still a beginner loomer and knitter. 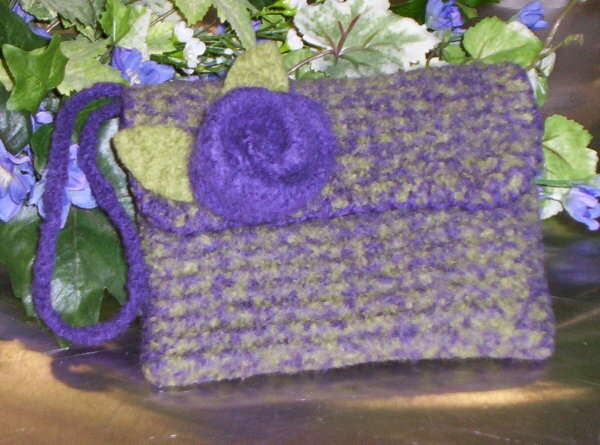 I have never seen a premade purse form.. .Where would I find them? Are they retail, or only order. I love the rafia purse.. have never worked with it at all. Will have to give it a try. I just wanted to make sure you knew that the purse form can definitely be found at Michaels Crafts, usually in the apparel aisle. There is an item number on the materials list in the pattern that will help you be able to find the correct form when you’re ready to go shopping. I was just wondering if the bath mitt set is still available. Is it difficult to make? Thanks for the information. I make items for our hospital, and pregnancy center, I joined a couple of the loom groups and I came across Your baby bootie pattern, I would love to make some for My charities,could You please let me know how I could get the pattern, and how much it would cost? I only have the kk looms,and the flower loom. Love the freebies, thought I was too late for the party. In beautiful (not) Odessa, Tx visiting MIL and just said goodbye to house full of relatives. All I could think about was “please please go home so I can get to the party”. 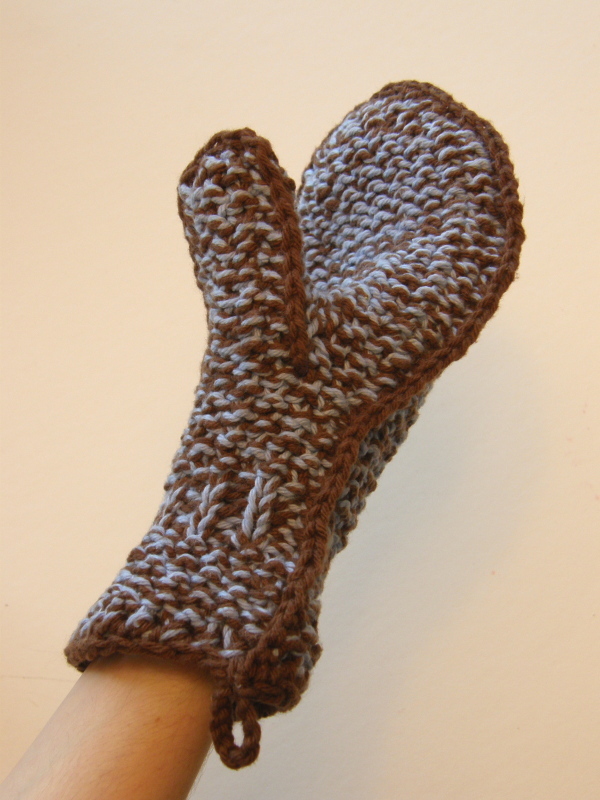 Hi, thanks for the patterns – the mitten pattern looks like something I will enjoy working on for the winter. Really appreciate your generosity. I am just learning how to use the Knifty Knitters Loom. I have made 1 hat. Now am trying to make a pair of socks but am having trouble on making the Heal of the sock. I have to start all over and need some help with a video or voice talk on it. Can you help me with that or know of a good website that teaches you that with a video or voice chat? Thanks for your help! 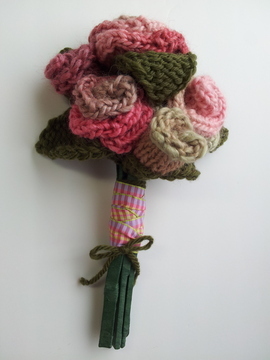 i’m will cindy…i have done booties on the flower loom, but would love to make them like yours!!! 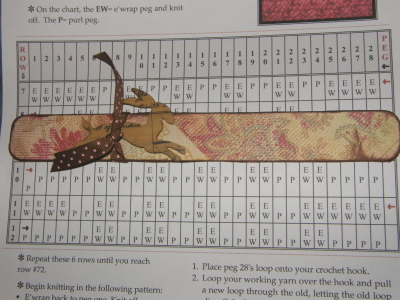 ie, i would need the loom and the pattern (all i currently have is the knifty knitter set of flower to green round looms). can you help me out! the hospital will love me!!! I’m stumped with the directions to the mittens. When do you begin the round after you flat panel knit the thumbs. Is it at the same time you are flat paneling? Gorgeous items, I am truly impressed with your abilities with the looms. I tried to download the patternfor the raffia handbag but it didnt work because it said the pdf was corrupted and unsaveable, any ideas? Thanks for supply such great free patterns. Of course, I’d love for you to have the pattern…I’m attaching it to this email directly. how do you purl on a loom? please let me know or where I can find out how. 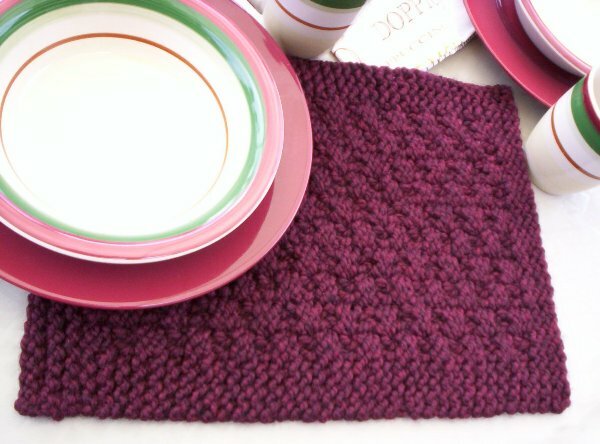 Hey, I just worked the basketweave placemat and I love it, but I ran out of yarn to do the cast off!! Not sure what happened since gauge is determined by the loom peg spacing, and I used the green round loom. My beginning tail is fairly short also, so it’s not that I left too much yarn at the beginning. I’m thinking my only option will be to rip back part of the basketweave portion so that I have enough to make the matching garter stitch edge. Hi, Rayne! I hope you’re having a very Merry Christmas! Wow. I am never able to knit or crochet anything, but thanks to you I now canmake tons of great gifts. Great patterns. I love everything. It’s all so cute. Now if I just knew how to do it all. I’m just starting out and hoping to one day get better at it. Thanks for all the great ideas. Who would have thought a loom could be so fun. WAS WONDERING IF ANY ONE COULD HELP EXPLAIN ROWS 31 & 32 FOR THE SUPER EASY MITTEN PATTERN. I AM NEW TO LOOMING, SO SOME OF THE TERMS I AM STILL NOT FAMILIAR WITH. These freebies are so cute! I am going to give hot chocolate kits & recipes for Christmas gifts and was hoping to make the “mug hugs” to go along with them. I am new to looming and I found the following step to be confusing because the lingo wasn’t on your key. ‘4-st RC’ – what does that mean? I’m so glad you’re making the Cabled Mug Hugs…I absolutely love mine, and seem to keep finding new ways to use them, lol! Your idea for holiday Cocoa Kits is such a great one! Hope that helps you get going…have a great day! I have a white big loom but I have no idea what you would make on it.it does have spilts on the one side of it .it has this on the edge of the loom. Short of that, how many pegs do these looms have, and are the pegs continuing in an unbroken circle all the way around the loom, or are they in a straight line? If the pegs are in a circle, then you can pretty much make any shape of item, including both round tubes, or straight panels of fabric. The size of items you can make depends on the number of pegs your looms have. I love the kitchen cookies, My husband and I seem to have lost all of our wash cloths to our roommates when they moved out, so we are always looking for small towels or sponges to scrub out our dishes with and such. This is perfect cause when it gets a little ratty, I can just make another instead of buying another box or bag of sponges. Thanks a a lot for this! I have seen a beautiful big cowl neck knitted pattern. Cowl necks are in style and my daughter wants one. I used the large rake nifty knitter but it isn’t big enough for what I want. 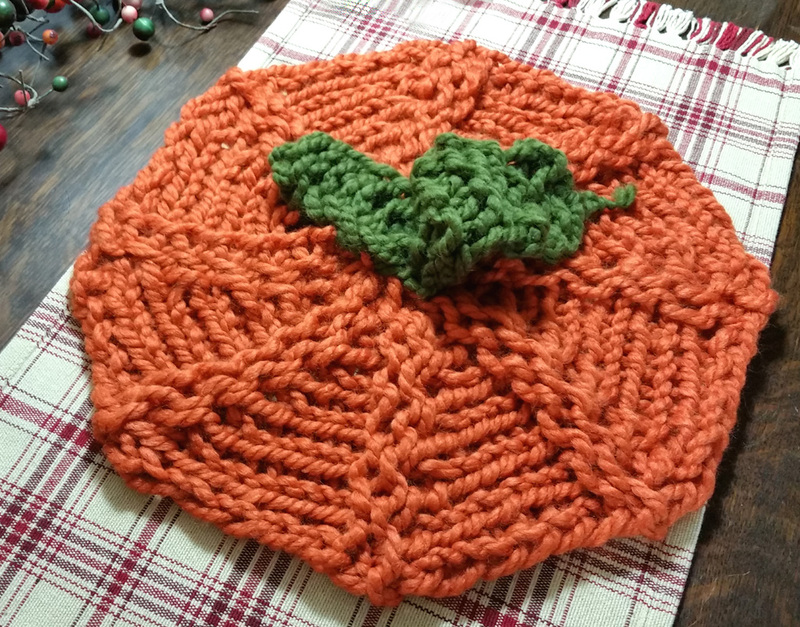 The pattern I saw had 300 stitches joined in a round and it was ribbed knitting. It is a neck warmer and about 16 ” high. I wasn’t about to knit that many stitches since I started looming. I was wondering if you had any suggestions as to how I could do one on a loom. I was thinking of looming and then weaving in to join but I don’t know what stitches in needle knitting are equal to loom knitting. I made one on the largest rake loom and just did the loop over because I am a beginner. The largest round one will make one for smaller children. The pattern I saw was the same as the ribbed though anyway. On the large rake loom it will fit adults or older children. I made one on the largest round one and it will fit small adults and older child, just make it shorter. I made mine 14″ because I was trying to do the pattern I saw. 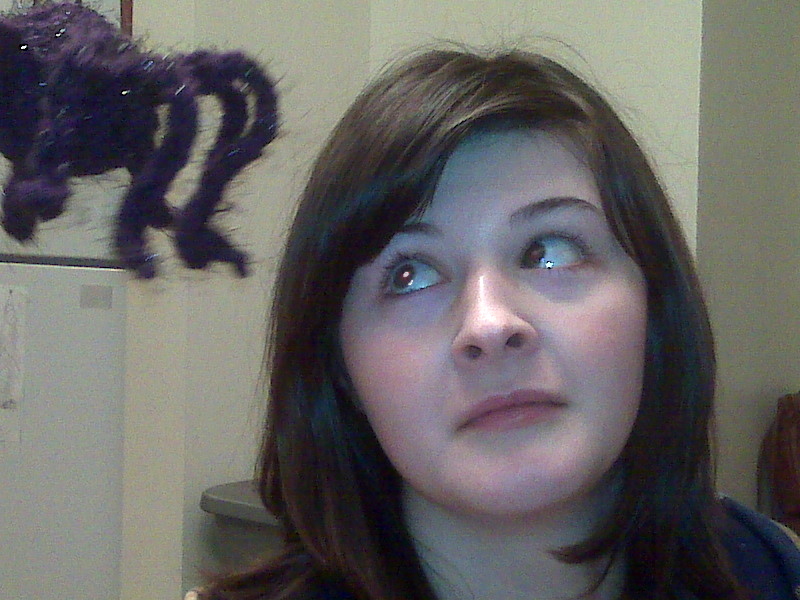 I then crocheted one that was very large. 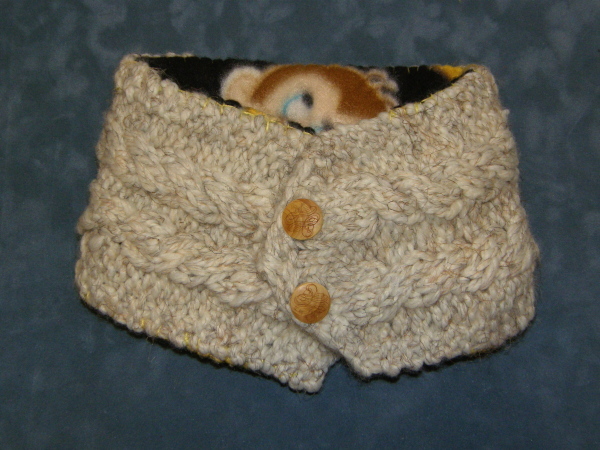 If you look in the Dec. 2009 Vogue knitting magazine you will see the cowl necks there. I can try and post a url to the pattern I saw. On Lions yard website there are free patterns that are really nice for Knitting so I thought I would just try them on the loom. Scrubby-O’s are SO AWESOME! I absolutely LOVE-LOVE-LOVE them, I am completely hooked. I have made them in different colors & sizes, with & without nylon netting! Thanks for the great video tutorial, I couldn’t have done it without that & now I know how to do wedges too. i keep clicking on the placemat and it just keeps going from page to page.Is there any way i can get this pattern as i want to make some for our camper. Thank you so much for your trouble and i do appreciate you taking your time to post these patterns. Your a spexial person for doing this for people. After your question about subscribing to the blog, I placed a little button on the right hand side bar, just above the comments box where you can subscribe to the blog and be notified every time there is something new to read. Let me know if you have any trouble with it, K? Happy Looming…and welcome to the Clique! On the Cabled Mug Hugs what length should they be? I think mine look really short, but I could be mistaken. As the for the length of the Cabled Mug Hugs, you’d just want to make them as long as your cup is wide. 😉 Have fun with those…they’re fun to whip up! I just wanted to say that I’ve been making Scrubbi O’s like crazy! I used to buy a 3 pack of sponges weekly to clean up in the kitchen and went out to find a more environmently friendly and cheaper option and found these. I love that I can make 5 or 6 of them and wash them and reuse them over and over and its still cheaper than 1 3 pack of smelly sponges, I’m working on making some for the bathtub with a little softer tulle as my kids are begging for them..AND I’ve already got a good stash of them going to give to my mother and sisters in their Christmas gift bag. Your video is awesome and so easy to follow. My daughter is dying to ger her hands on a little spa kit so I’m sure I’ll be purchasing that pattern soon! I’m so glad you figured it out, Claire! 🙂 Please don’t hesitate to let me know if I can be of any assistance, K? By the way, the pair I list in the pattern for children were made for sizes 6-10 yrs (depending on hand size). If you need them smaller, adjustments will have to be made to the pattern to accommodate that. Hope that helps figure out what to do for the sizing! I can’t get the page for Spencer the Spider to come up! Can anyone help me? 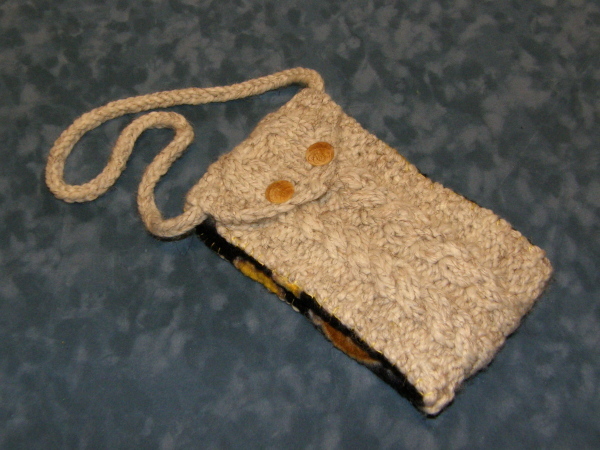 Couldn’t access the rafia handbag, do you know of any “hobo bag” patterns which could be attached to bamboo handles? Could I make something similar to a baby sac? Thanks. Please help! I am feeling remarkably stupid. I have been trying to make the “scrubby o’s”. I finished the first wedge, but I don’t understand how to start the second. Do you stitch the same pegs? The ones next to them? Do you do the crochet cast on again? I think I am over-complicating the process, but I just don’t get it! Any help will be greatly appreciated! I have your videos, but even that isn’t helping me get started! “Project Note: When creating each wedge, just build right on top of the previous wedge without removing from loom, and create the new using exactly the same procedure… no cutting or stitching wedges together required! 😉 ” ….also, use exactly the same pegs used in the first wedge…no extra cast on, just repeat exactly the first wedge as written and you will see your circle start to form. So, just to be clear(er), when you finish a wedge you just pull the thread back to the first peg and start over? I get long “threads” along the back at each wedge change. Is there any way to avoid those? Thank you so much for your help! I really appreciate your taking the time to answer my questions! Hi Lisa! 🙂 You’re very welcome! You will actually be purling back across all the pegs so that you end up right back at the first peg again to start your new wedge. 😉 There shouldn’t be any long strings at all. Thank you so much for putting these patterns here. I’ve started using the knitting loom because crochet makes my arms ache. But I need to make more than hats. You have some wonderful stuff, like the placemats, the oven mit, scrubby-O’s and bottle hug. But I am unable to down load any of them 😦 Is there another way to get them? Brooke: There are some really fun things to make on this website for beginners… you’ve probably already done some hats… now try making an upside-down hat as a gathered purse! You just make a cap as usual (no brim), gather it at the top (with no pom-pom), and turn it upside down. 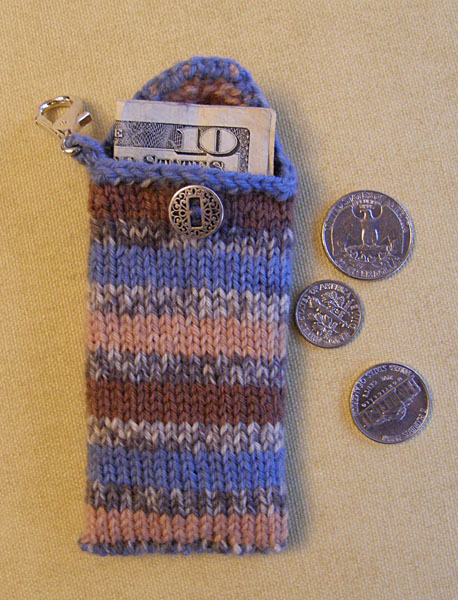 Now, just take a long piece of pretty ribbon and weave it in and out of the knitting about an inch or more down from the top of the “purse”… tie it in a pretty bow and you have your drawstring for closing the top. 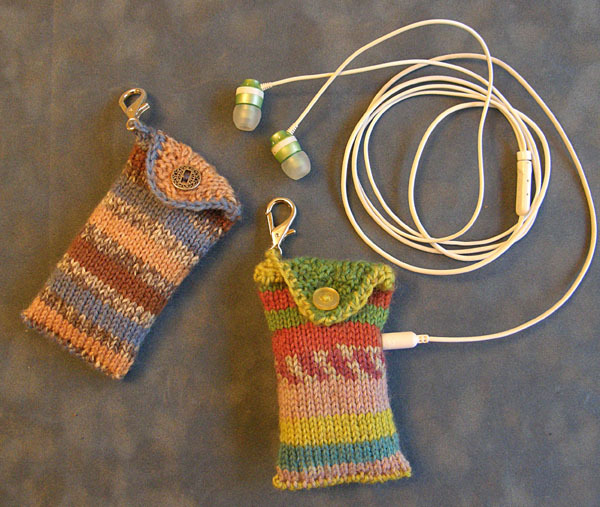 Attach an I-cord to the purse at both “top” ends of the purse and you have a shoulder strap!!! Tutorials on making an I-cord can be found on YouTube (or) instructions come with a Knifty Knitter spool loom 🙂 Hope this gives you a fun project for Spring! Thanks so much again for your caring-sharing nature, Jolene! I just want to thank you for your step by step video tutorial of the scrubby pads. I am a new knitter and I have been trying to teach myself with books and having no luck. Your video was so easy to follow and I appreciate that. I was able to complete my project with success instead of frustration. Thank you so much! PS. Your other patterns are great and I look forward to trying them. 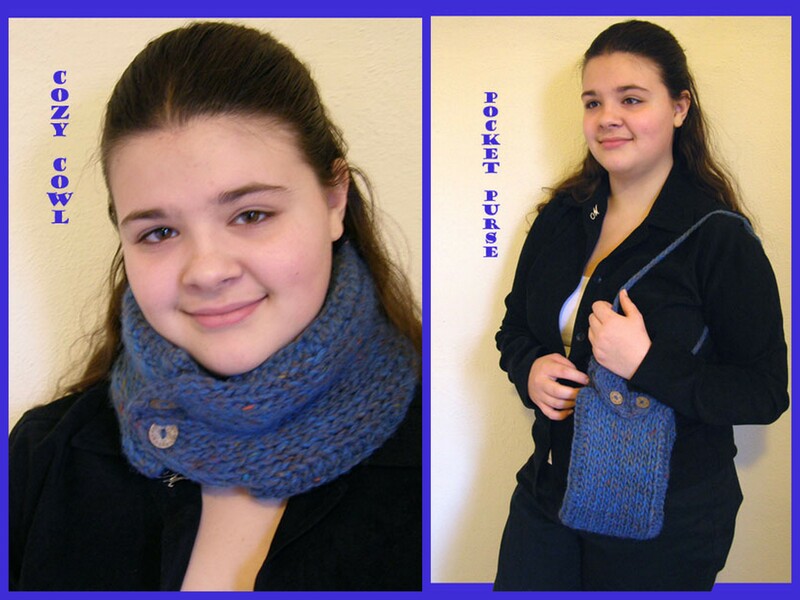 Gina, I’m so thrilled that the tutorials and patterns have helped you along in your loom knitting journey! 🙂 I wish you many more happy adventures with your looms! Wow – what a wonderful selection of patterns! Thank you so much. I’ve had my looms for several weeks and just cannot stop! Everyone is getting hats for Christmas, but now I’m ready to move onto other things. Ps: Do you happen to have a baby (12-18 mos) leg warmer pattern by chance? I’d be happy to buy it online if you do! Hello Nichole! 🙂 I’m so glad you’re finding the gettinitpegged site useful in your loomy adventures! As for the leg warmers, I found this page which has a few pattern links to different sites on the web…just look on the right hand sidebar and scroll down until you spot the heading, “Leg Warmers-Leggings”. http://springyknitting.com/_wsn/page2.html Hope that helps! I purchased your book Looming for Little People and have made some of the projects, The Jester Hat was extremely cute. Now I am working on the So Cool Hat, and am having trouble figuring out how to do the brim. I know it is probably so easy it would slap me in the face, but by face must be in the wrong spot. I cannot figure out how to decrease at the 2 outside pegs, how do I deal with the three pegs before that??? Would appreciate any help as I have started and taken apart probably a minimum of 15 times in the last two days!!!!! Thank you! Thank you so much Bethany for your quick response. You hit the peg on the head. That is exactly what I was looking for. I did move the first two pegs over a couple of times but then started over because I felt like I had to pull so tight. I am new to looming also, and I think I am trying some challenging patterns right off the bat. I absolutely love the projects in your book and know that I will probably try every one of them! Thank you again! 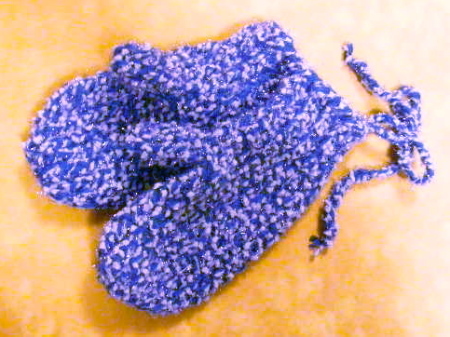 Do you have a video to help me with making the mittens (kids mittens) that shows step by step how to make them on the loom? Valuable info. Lucky me I found your web site by chance, and I am stunned why this coincidence did not happened in advance! I bookmarked it. I am IN LOVE with your site. I got my looms a couple of years ago just for fun and to play with but up until last year haven’t really done much with them. My little cousin was diagnosed with brain cancer and we all began making hats for him…… so many in fact that we donated close to 600 to the local cancer treatment hospital. Anyway, I made alot of his hats on the loom and they all began to look the same and I wanted something different. Thanks to your page (with VERY easy to follow instructions) I now know more stitches and can make more things as well. 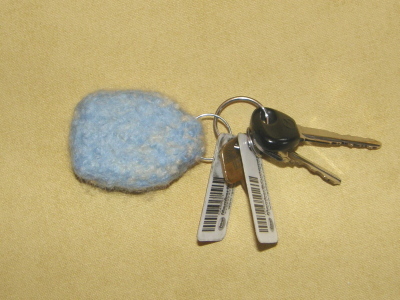 I am currently in love with the Scrubby-O’s pattern and have been making them left and right. I’m thinking about trying the mittens next. Thank you so much for sharing these and making easy to follow instructions with videos, It has been an absolute treat to watch and makes things easier to follow and understand. Again, Thank you. Hi CB! 🙂 I’m so glad to hear that you’ve been enjoying the goodies to be found here at gettinitpegged.com! Bethany, I have a question about your book. Off-topic, I know. 😉 It is titled ‘Loom Knitting for Little People,’ and in the corner, it says ‘. 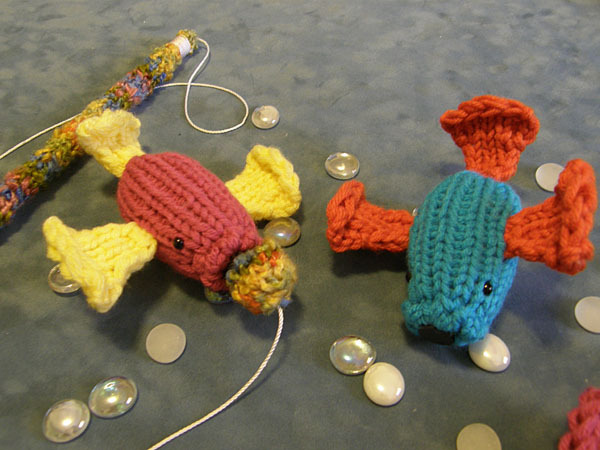 . . for the kids in your life.’ Is it knitting projects where you knit something to GIVE to the child, or is it knitting projects for THEM to do? I probably know the answer already, but I just want to make sure. Again, I am easy to confuse, so this probably didn’t even occur to anyone else. 😉 Thanks! Hi there, CB! 🙂 I’m sorry for the late reply…we just returned from a family vacation. We had a lot of lot of fun together and it was just plain good to get away for a while! 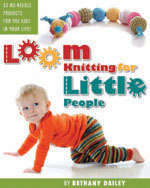 In answer to your question, “Loom Knitting for Little People” is a book designed to create loom knitted items *for* the kidletts in your life. 😉 Although, I will say that there are several projects that could conceivably be created by kids who are interested in loom knitting and display an aptitude for the craft. I hope this helps give you a better idea. I’m planning on doing a slide show soon which details all the projects that are contained in the book. I think this will help people get a better idea of what amazing fun is to be had within it’s pages. Have a very happy summer…hopefully you’re finding time to wrap some yarn around your pegs! I am a new loom knitter. 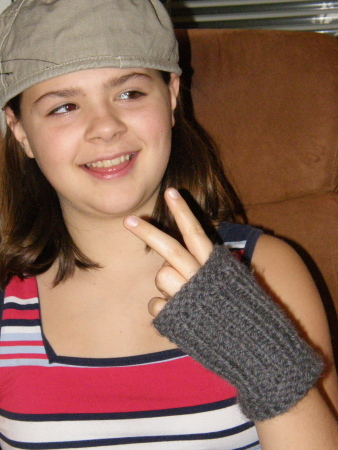 I got my looms to make really basic scarves and maybe “branch out” to hats…lol. Oh how ignorant I was! I am amazed at just how many uses I can get out of them! I am so excited since I have taken more to this than knitting with needles. Thank you for the wonderful new patterns! Hello, Nina! 🙂 Welcome to the wonderful and chalk-full-of-fun world of loom knitting! 😀 I absolutely know what you mean about the looms being a better avenue for those sore fingers and wrists, having myself suffered with the issues of chronic pain. The second way is to go ahead and ewrap the entire row, but make sure to just lightly FLIP the bottom loop over the top loop without PULLING at it, which is really what creates that extra looseness to begin with. 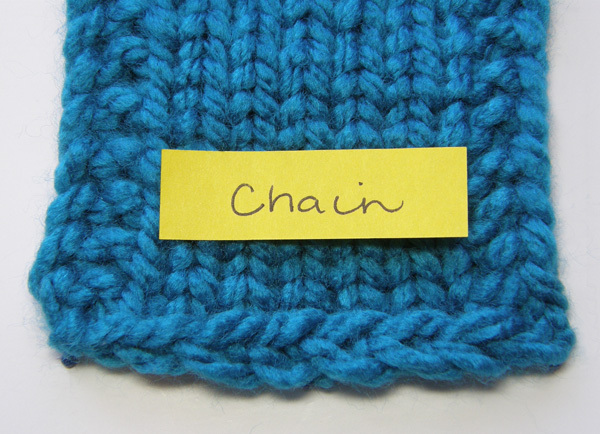 You can also knit off your row in a different order each time, varying where you end your last knit off stitch. This also will help in nixing that ladder line. I hope this helps! Happy Looming to you! can you show us how to make a chevron patterned afghan? 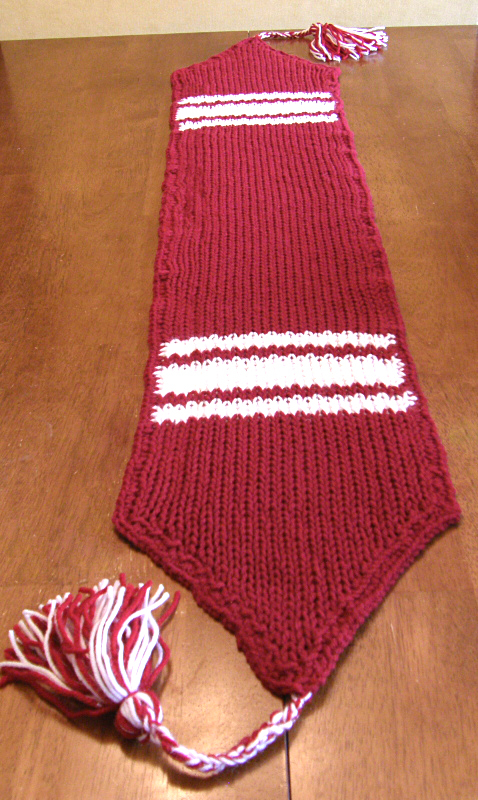 I have both the long Knitting Board and the all in one knitting board and cant find how to do the chevron pattern for it! can you please help a girl out? Beautiful wrk. Thx for sharing patterns. 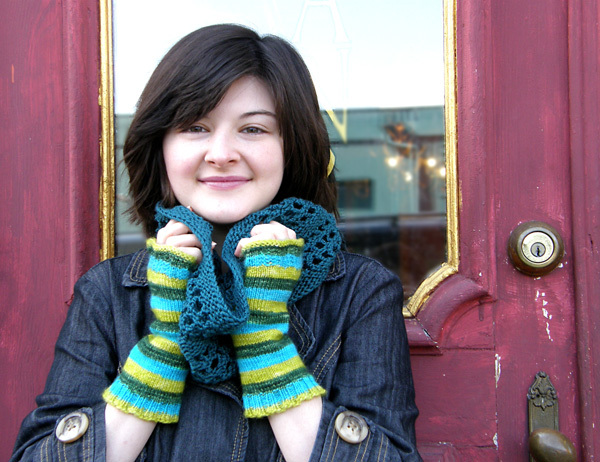 Do u have an easy fingerless glove pattern. Im a beginner. Hi Bethany. I just bought a Knifty Knitter (yellow) because I liked the poncho it showed on the front. However, when you go to Provo Craft’s website for the pattern, all they have is their Cricut. I guess they don’t support anything else now. DO o have ny idea where I can find a pattern for that poncho?. Hope you enjoy all those projects! Hmmm…other than saying, “Make sure not to pull your yarn too tight,” lol, I’m not sure what to tell you. There have been the occasional times when a new loomer was actually knitting on the wrong side of the peg, causing all sorts of havoc, but this was during the ewrap process. 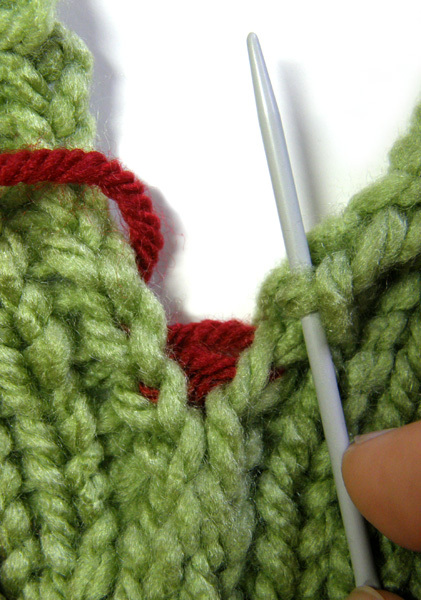 The best tip I can think of for flat knitting is to use the U-Stitch. This is where you kind of “hug” the peg (in the shape of the letter “u”) with the yarn while knitting off. 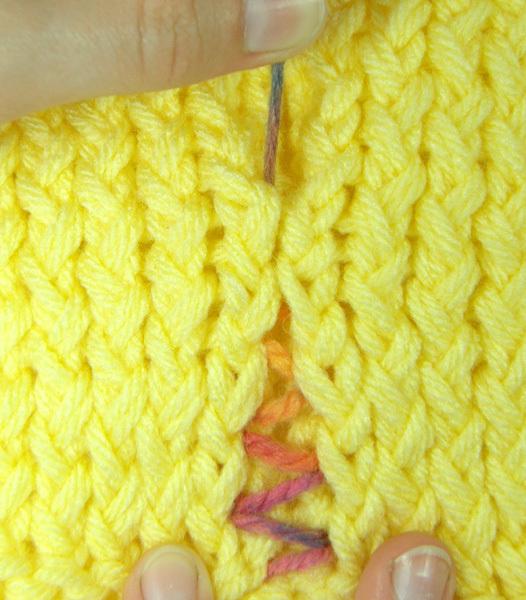 This helps you build ease into your flat stitches to make them much more manageable. If you visit youtube, I’m sure you can find a tutorial on doing the U-stitch. I hope this helps! Thanks so much for your time and efforts to make your videos. So clear and informative. I am a rank beginner at loom knitting and I made my first scrubby today! Hobby Lobby has their mesh and wedding tulle on sale so I’m going to experiment with that and a bath scrungy! I made a cheat sheet for my first scrubby that helped me tremendously in keeping track of where I was. I’d be glad to share if anyone is interested. Again, thank you. My first loom experience was super! I am newish to loom knitting. 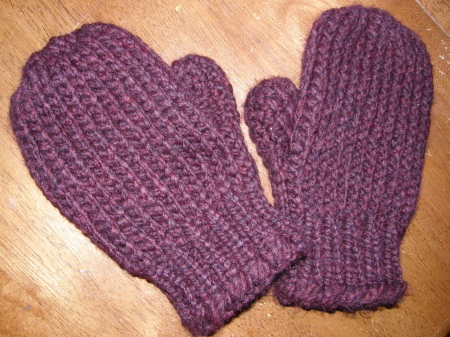 I tried the knitting pattern for the mittens. I found the last bit very confusing. I tried the videos, but I don’t think she does a clear job of explaining. I still got them done, but I had to improvise the last couple of rows.. I downloaded the santa/snowman candy cane toppers and there was no pattern for the snowman, just santa on both pages. Hi Liz! 🙂 I’m not sure what’s happening exactly. I just downloaded the file on my phone to investigate and it had the snowman pattern on the first page and Santa was listed last. Are you sure you don’t see the snowman pattern starting right under the supplies needed section? Size of basket weave placemats? If the pattern doesn’t specifically state what the measurements are, I can’t really remember, lol. But I will say that the plate that was pictured with the placemats is a full sized dinner plate, so the are a fairly good size. You can absolutely create these on any shaped loom, as long as it has the number of pegs required, and the spacing between the pegs are comparable to the original Knifty Knitter looms (large gauge).